If you’ve ever taken a loan out to buy something of high value, your lender might have put a claim on the property you were going to buy with the borrowed money. This claim is called a lien and is only effective if you ever default on the loan repayment. If you manage to pay back what you owe, the lien is waived off or released. 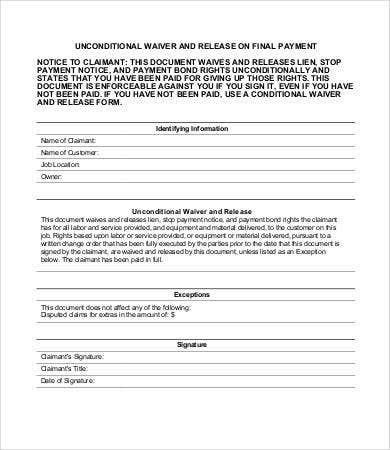 In this way, a lien release form is similar to a Liability Waiver Form but differs in important ways. 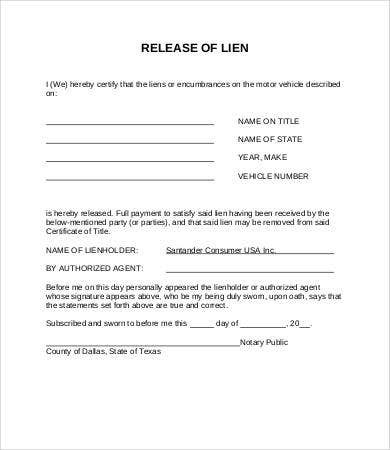 If you are thinking of borrowing or lending a serious amount of money, don’t do anything before you have one of these lien release forms downloaded and printed out. The lien is the conditional rights a borrower has on a property, until the debt is completely paid off. This is best understood in terms of security or collateral. 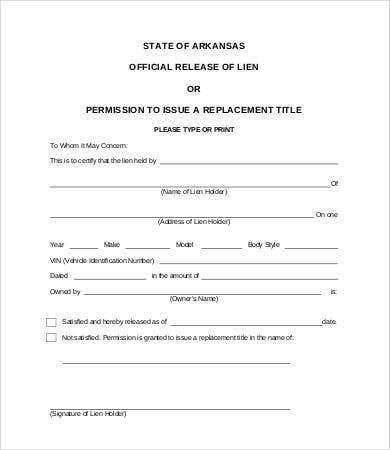 The lien release form is issued after the whole debt is paid. 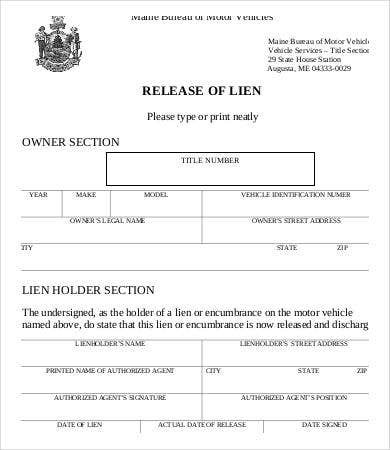 There are versions of the lien release in terms of further obligations. If the debt is paid in part, with part of it released and the borrower put on parole, what you have is a conditional release. Your loan contract will have to explicitly provide for this. Can I Have a Lien over Rented or Leased Property? Liens apply to loan debts you’re shouldering in order to buy something. But it can also apply in certain situations when you are renting/leasing. If you are the landlord of commercial property and your tenant has vacated the premises while leaving valuables behind, you can put a lien on that property. 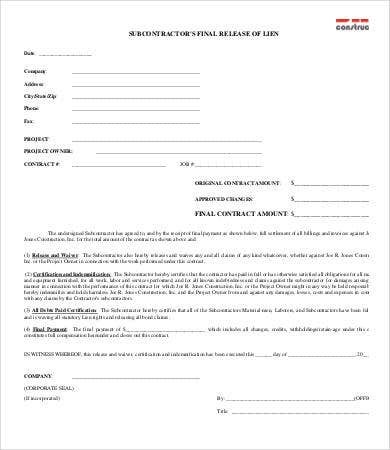 Naturally, there has to be a clause in the Rent Agreement Form regarding this scenario. In most cases, however, landlords do not have a lien on rented property. If you want to keep track of who’s paying rent or isn’t, you might as well track every tenant’s payment details on an Excel Form Template and send late-rent or eviction notices. How Do I Use These Templates? Property liens. 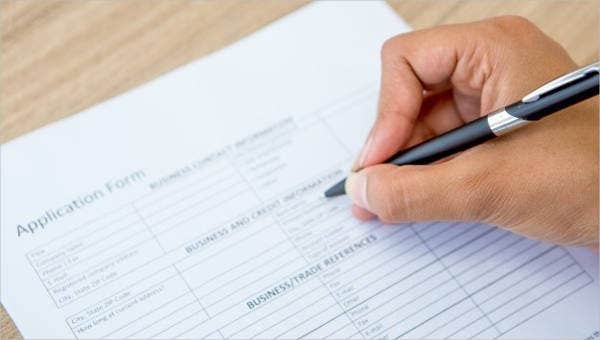 You will find most of these forms cater to borrowers claiming liens on real (fixed) property such as cars and houses, since the automobile and mortgage loan industry has the most need for these kinds of forms. 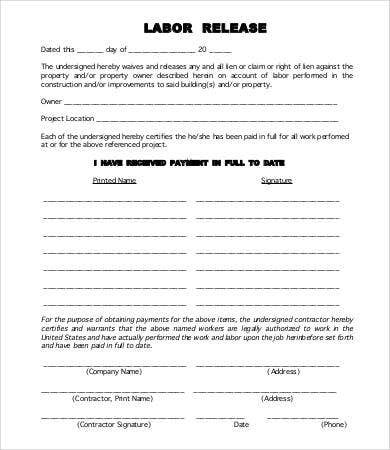 Labor liens. 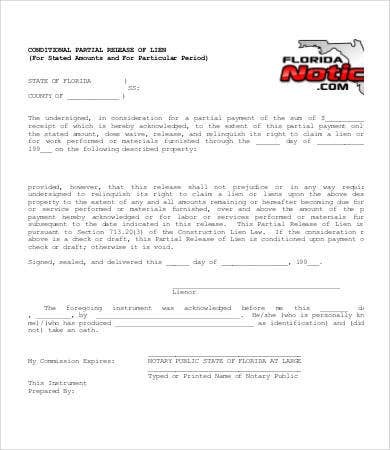 Contractor lien releases are for contractors, subcontractors, suppliers, or equipment lenders to hold property you helped provide or create until you are paid in full for them. These documents are free to download as Word and PDF files, so feel free to modify them further if need be. 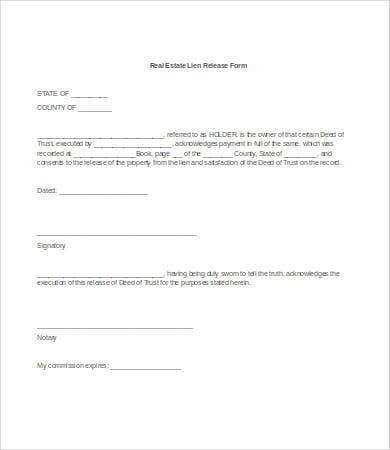 Not all lease contracts will come with the lien clause. 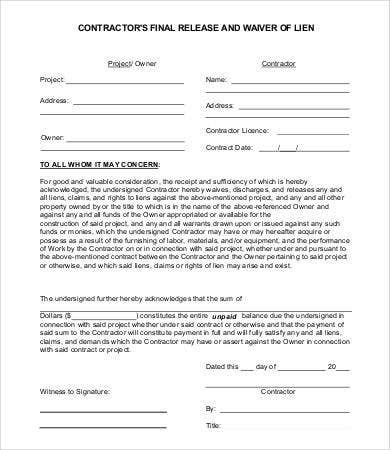 If you’re a regular lender and you’re modifying your contract to allow for it, just this once, but don’t want to make a habit, you might want to have a good Non Disclosure Agreement Form at your disposal as well.